Wedding season is officially upon us. That means shelling out cash for a flight to a destination wedding, trying to find the cheapest item left on the registry (admit it, you do it! ), and if you’re a bride, stressing over finding a dress. With the insanely high cost of the average wedding these days, most brides are trying to find a budget-friendly yet chic dress. Well, H&M just answered our prayers and debuted their line of affordable wedding dresses. We know the Swedish retailer for their cheap, chic basics and even a few spring style essentials. Now, their new line of wedding dresses and bridal wear is just the icing on the cake. 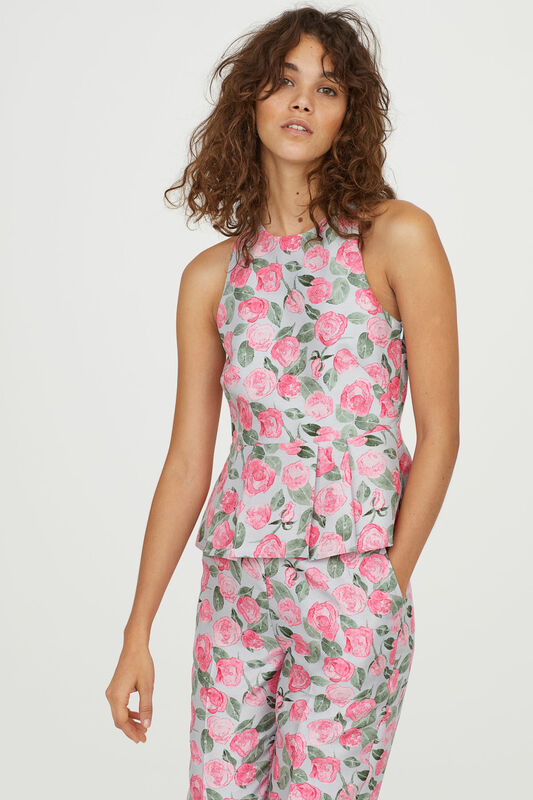 Aptly named “The Wedding Shop,” the H&M collection features dresses for brides, bridesmaids, and those of us “blessed with loving invitations.” The frocks include flattering halter necks, romantic lace, and even a few prints for the woman who loves floral. Though white, floor-grazing wedding dresses are more classic, H&M’s picks also include trendy minis and colorful tones. And did we mention the prices start at just $70?! Your wallet just said thanks. Classic, chic, and just $129. For the more daring bride or bridesmaid, the hems are short and available in different colors, like red or even green. While most people associate a wedding day with a dress they’ll only wear once, many of the options can be worn long after. So stinkin’ cute! But more importantly, wearable for other occasions too. Buy the top here and the pants here. H&M’s new wedding line also includes satin and lace camisoles, jewelry, and heels that look like they’re wearable all day. Wedding attire that doesn’t cost a fortune? We’re here for it!